Should You be Peeling Celery? Should you be peeling celery? It’s a simple process, if a little time-consuming, so does removing the tough strings that run down the back of each rib of celery really add to your enjoyment of this healthy veggie? 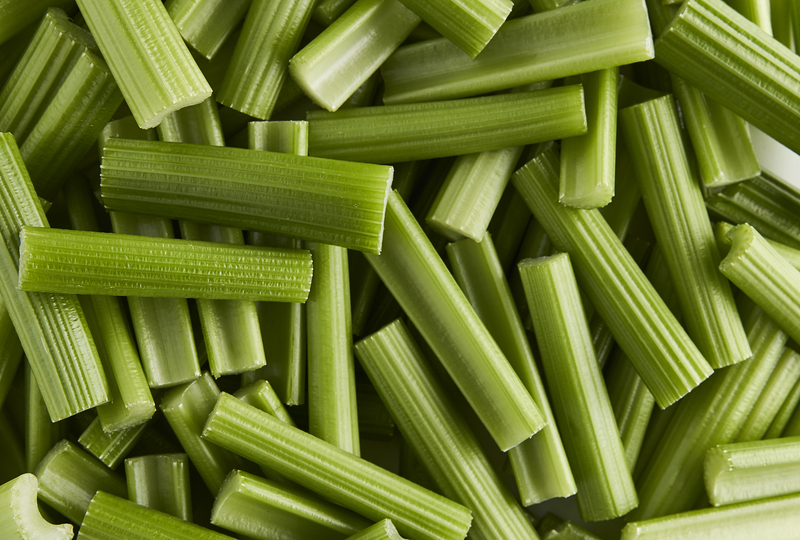 Celery can be stringy and chewy when you’re eating it raw, and so if you’re having it as a snack, or packing it into your kids’ lunchbox, you might want to make the fresh stalks easier to eat. 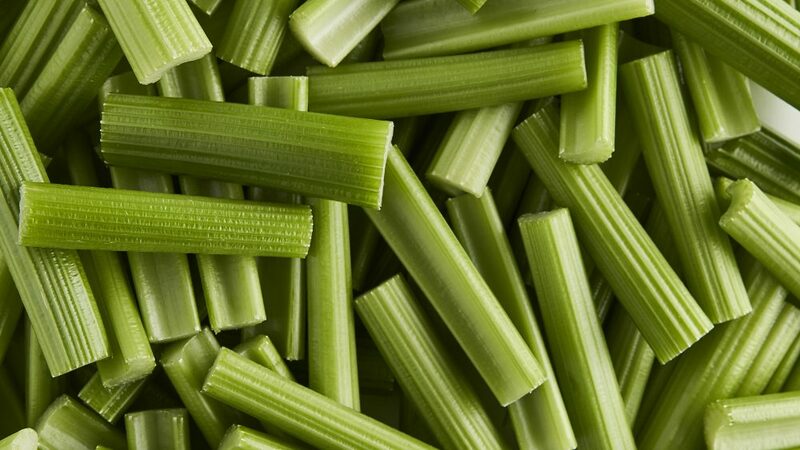 After all, celery’s also one of those things that you should never put down a waste disposal unit precisely because of these strings: they can tangle up the blades. Either cut out the strings with a sharp paring knife or (the safer option!) use a vegetable peeler and lightly peel off the strings. You can do this by positioning the peeler at the base of the stalk where the strings start, and pulling the peeler up the length of the celery, taking away a thin strip. You do waste less of the celery using the knife method, but be careful. Now it won’t stick in your teeth, and if that’s the reason why your kids might’ve been hesitant about trying raw celery, try to get them to give it another go. Maybe help things along by introducing the sticks with a dip, such as hummus, cream cheese, or peanut butter! Or try our goat’s cheese recipe for a delicious fingerfood snack. If you’re making a salad and dicing celery up into small slices or cubes to add some fresh crunch to your other veggies, you don’t actually need to peel it. Nor would you need to peel celery that you’re dicing up for stew, a celery soup, or mirepoix.